After a decade in retirement, the Ritchey Swiss Cross and Mount Cross, the company’s original off-road 700c bikes, are back. We previewed the stunning red Swiss Cross show bike at NAHBS 2011 in Austin, but got a closer look at it during our annual look at all the new cyclocross gear at the Sea Otter Classic. The show model was hand fillet brazed by Tom Ritchey himself, who despite common belief that he has long ago put down the torch, is still keeping busy brazing frames for friends and old customers in his spare time. Tom brazed up this Swiss Cross (along with the P-29er) with a bit of semi-modern technology including integrated 1-1/8” headset bearings and a carbon WCS cyclocross fork. Nearly fully dressed in Ritchey WCS components, and complimented by a SRAM Force drivetrain and TRP EuroX Magnesium brakes, the Ritchey Swiss Cross looks ready to resume its place on World Championship podiums, if only Ritchey can also bring back its former cyclocross stars Thomas Frischknecht from Switzerland and former World Champion Henrik Djernis from Denmark. 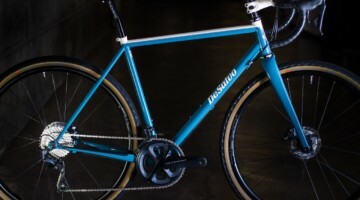 The Swiss Cross will be available as a frameset this summer for $1295 and will be hand made, just not hand brazed by Tom himself and instead TIG welded in Asia. Expected weight is about 3.7 pounds. 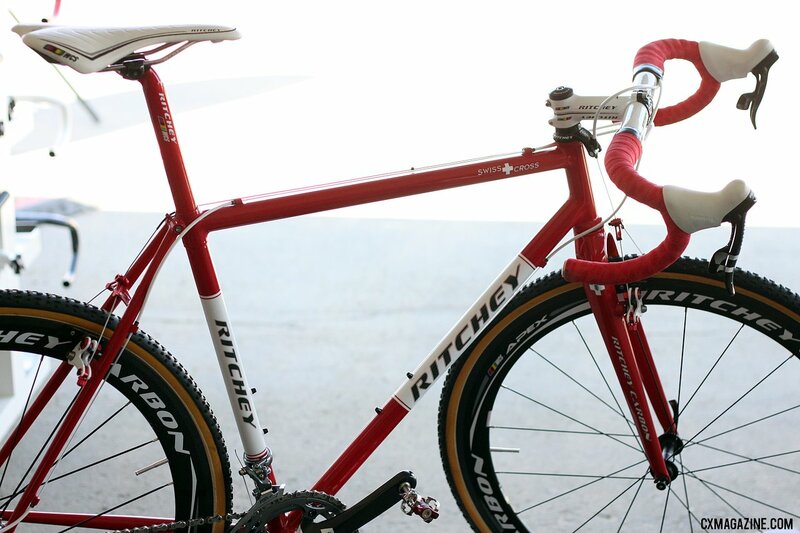 This reincarnation of the Swiss Cross retains elements from the previous version, including the minimalistic cable guide by the seat collar, Ritchey dropouts and the red and white color scheme. The company’s early 29er, the Mount Cross, is also back, although renamed the P-29er. 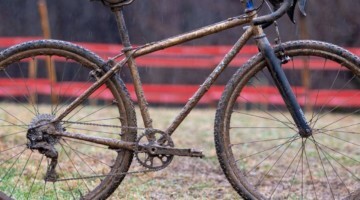 Ritchey’s marketing manager, Sean Coffey, said that Tom had campaigned to keep the Mount Cross name in recognition of the company’s early 29er predecessor, with its mountain bike geometry but with 700c wheels, but Coffey convinced the team to choose a name that highlights the fact that this bike is a modern 29er with clearance for wider tires, suspension-corrected geometry and disc brakes. Guess who won that naming battle? 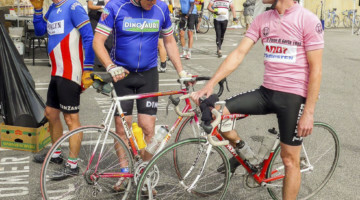 And for all of you who remember the P-23, P-22, P-21 and P-20 mountain bikes, named after their complete bike weight in pounds, rest assured that a complete P-29er does not weigh a burly 29 pounds. 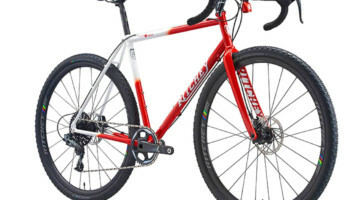 The P-29er and Swiss Cross join Ritchey’s existing cyclocross frameset options that consists of the Cross Break-Away framesets in both steel and titanium. 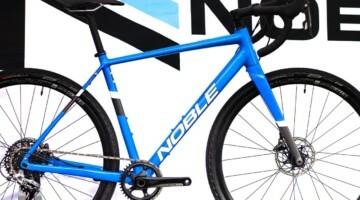 See our continuing coverage of all the new cyclocross gear from the 2011 Sea Otter Classic. sexiest cross bike in the world right there. When can Canadians get one? Monstercrosser You’re right. And that’s why we wrote, “but Coffey convinced the team to choose a name that highlights the fact that this bike is a modern 29er with clearance for wider tires, suspension-corrected geometry and disc brakes.” But one of the CXM folks actually has a Mount Cross lying around…so we’re quite familiar with that nice bike.